The Elton John AIDS Foundation (EJAF) will present its 24th annual Academy Awards Viewing Party Wonderful Crazy Night on Sunday, February 28, 2016, at West Hollywood Park in Los Angeles. 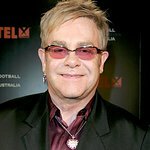 Elton John and David Furnish will host the gala event. The Foundation is profoundly grateful to its Presenting Sponsors BVLGARI, M∙A∙C Cosmetics, and Neuro Drinks and Diana Jenkins for supporting this important event so generously. For a fourth consecutive year, award-winning Chef Gordon Ramsay will prepare the sumptuous dinner for party guests to enjoy while watching a live telecast of the 88th Academy Awards. DJ Johnny Dynell also returns to spin tunes for guests to dance the night away. Audi, BBVA Compass, TheBLUEFISH, and StyleHaul have partnered with EJAF as the evening’s generous Co-Sponsors, and Fin Gray and Michael Melnick are Associate Sponsors. The Foundation is especially grateful to the City of West Hollywood for continued collaboration with EJAF on shared goals. American Airlines is EJAF’s official airline.